It’s the Autumn Paws in the Park Show this weekend at the Kent County Showground and we will be there for the 3rd Year. 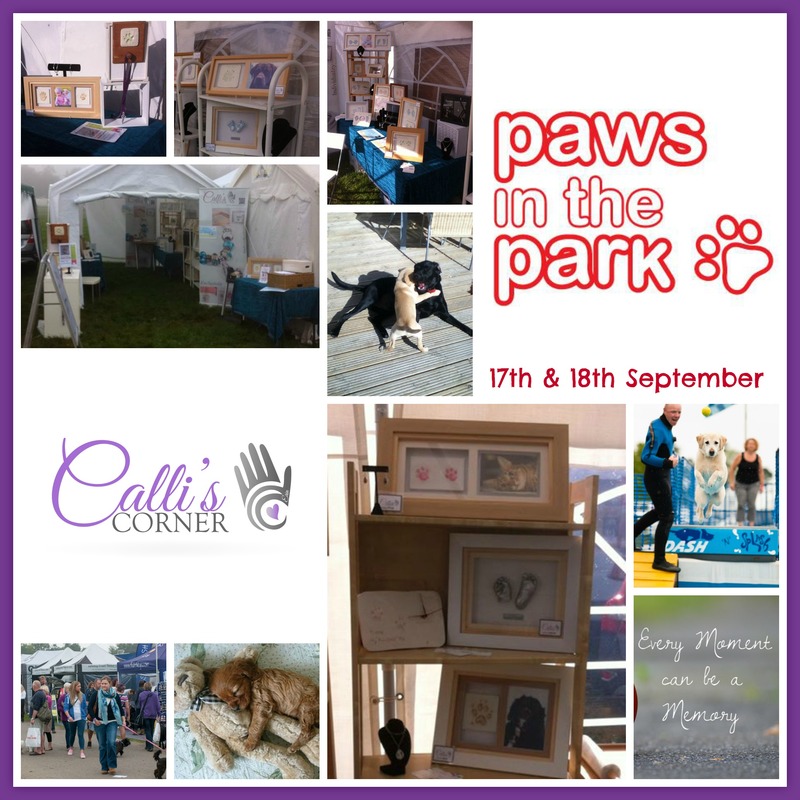 It is one of my favourite weekends in my calendar, as I love watching the amazing amounts of different dogs and their families walking round enjoying the fun and listening to the response about our gorgeous products (I know I am biased but they are gorgeous!). Check out our website before the show for a sneak peek. We all love the furry members of our families despite and because of the muddy paws, wet noses and hair around they leave around the house. What would we do without their wet kisses when we feel down or their excitement when we get home. Our dogs mean so much to us, capture their moments forever as a smile on the wall or a stroke around your neck. It’s the 10th Anniversary this year of Paws in the Park so make it a weekend to remember and bring the whole family down to the Kent County Show Ground, Detling and try out new doggy activities, games, and dog sports from agility to water sports, and enter one of the dog competitions including heelwork to music, agility and Novelty dog show classes. Who knows, your dog could even win Best in Show! Don’t forget to come round to the market area and say hello. I will have everything ready to take your prints either human or doggy when you have chosen your favourite.